One of the trends that will develop over the next few years is ‘tribing’. It will make a considerable difference to the value of your website from a Google perspective and I believe it should be an essential part of your social media strategy. The term will be used to describe the act of working in strategic groups to increase popularity for say an event or piece of news. By that, I mean actively working to stimulate both conversation and response to content that is distributed within the social media arena. The recent changes in attitude from our favourite search engine means that one of the most important measurements that they can make in assessing the ‘popularity’ of a website, is in the number of times people respond to your content. Thus, by working together in what we would maybe call a ‘tribe’ it is possible to boost your visibility and popularity, hence the term ‘Tribing’. We have adapted our strategies and advice instantly and we get the message about which marketing techniques to employ, sent directly to our team and of course, it is then used for the benefit of our own clients. Being ahead of the game has massive advantages – we can amend our digital marketing strategies instantly and we have already started to build up a collection of forward-thinking clients who we help to work together within their specific sector. One example of what we do is the alliance of property, finance and construction people that we have put together behind our Property Aspects Magazine in the North West. These are the first steps towards creating our self-promoting digital community or ‘tribe’ within the property, finance and construction sector which is then linked to a series of joint seminars and events that we will be hosting. One of the most important indicators to Google is the ‘popularity of your website. This is effectively measured by the number of ‘retweets’, ‘likes’ and ‘shares’ that you are getting from your followers and connections. It proves to the search engine that others are appreciating and approving your content by passing it on. I do get irritated by people who simply ask me to ‘like’ their site for no apparent reason! – especially when it’s actually crap! Why not put some well-written and informative content on there first, which may be helpful to the reader and not sales messages and then ask someone to check it out? You may get a far better response! Not surprisingly, we do create a lot of top-quality content for our clients and we get great response from it. 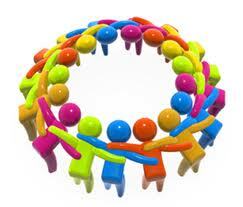 We also know how to convert this content into face to face meetings with well-targeted prospects for our clients. The tribe of clients we work with are educated and taught how to work together to benefit their own businesses by spreading the word about the others. Our property and construction ‘tribe’ is gaining momentum and the results are starting to show. 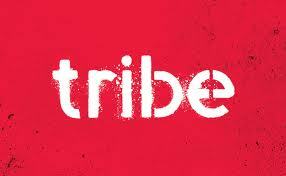 If you work in either the Property, Construction and Finance sector or, alternatively in HR, then please talk to us and find out how it could help you if maybe you joined our tribe. This entry was posted in Blogging, Internet Marketing, Property sector marketing, Social Media Marketing and tagged blogs, internet marketing, social media, social media manchester, tribing. Bookmark the permalink.